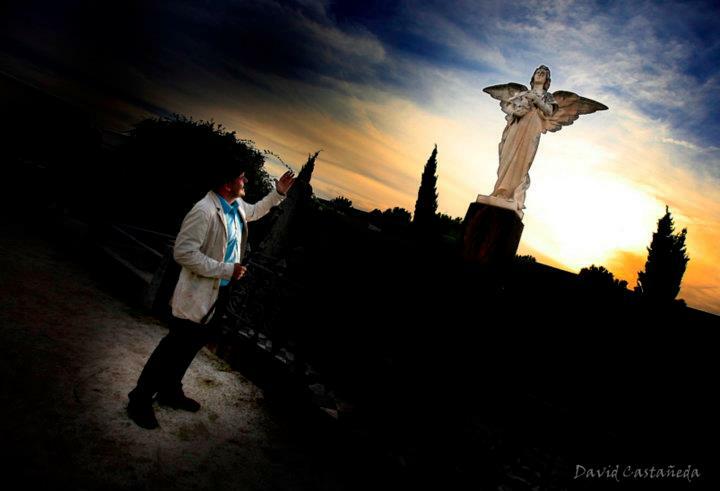 A night guided tour took place at the Arenys de Mar Cemetery (Catalonia, Spain) on 7th June 2015 at 9.00 pm with actor Roger Pou. Arenys de Mar is a little town in the Catalan coast, just 40 km up north from Barcelona. Its cemetery is located in a privileged place, on a hill, in front of the sea. It’s a typical mediterranean cemetery. The cemetery of Arenys is small but with a strong personality, full of literary, artistic and visual references. On the occasion of the WDEC 2015, we are really pleased to offer you a sunset guided tour to discover some of the most famous residents of this place through some anecdotes and stories explained by the talented actor Roger Pou.